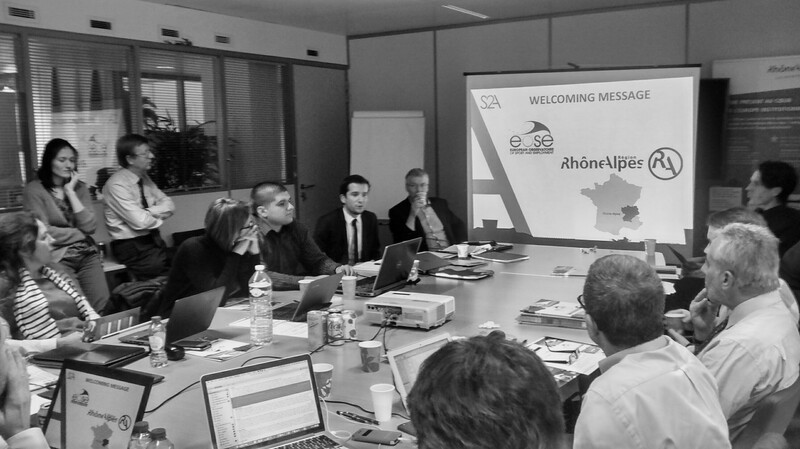 On 16th and 17th of November 2015, the S2ASport project organised its Kick-off meeting in Brussels. 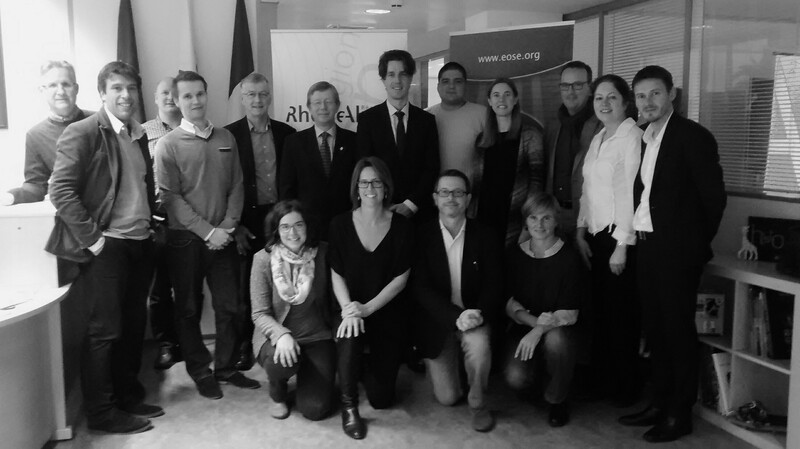 The event, hosted by the Délégation Générale de la region Rhône-Alpes, was the official start of the S2ASport project, funded by French National Agency within the Erasmus+ programme, which will run until January 2018. 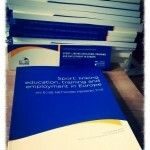 EOSE is the leader of this new project which full title is “From Strategy to Action: Supporting the professionalisation of sport organisations through the definition of work-based competencies and the development of fit-for-purpose training for Sport Administrators”. The kick-off meeting was attended by 17 representatives of the 12 official partners (8 national partners and 4 European networks) representing 10 countries. Opened by Aurélien Favre who reminded the rationale and context of the project, the meeting was meant to provide partners with the needed information to be efficient in the delivery of this ambitious work plan. Indeed the focus of the project is on “sport administrators” with the aim to fill a gap between the competences of sports administrators and the skills they need to fulfil the position. There are two main objectives of the project: 1) Development of industry-led occupational standards; and 2) Reinforce the link between education and employment. The working methodology for the project will be the Lifelong Learning Strategy for sport and active leisure, also known as the 7 Step Model, devised, tested and promoted by EOSE and EOSE members. 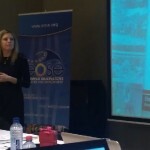 Aspects such as administrative and financial rules as well as in-depth introduction of the use of the 7 Step Model has the backbone of the project were the topics of day 1. 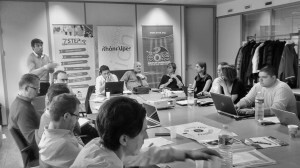 On day 2 of the Kick-Off meeting, Simone Digennaro and Antonio Borgogni from the University of Cassino and Southern Lazio (UNICLAM) led the discussion as the Work Package leaders for Step 1 (ie Labour Market Analysis) of the 7 Step Model. Implementation and delivery are the key functions – “Strategy to Action”. Overall there was a common agreement that Sport Administration relates to a series of functions and roles rather than a single definition. Following discussions it was finally agreed that there will be some original research within the project, with a research protocol designed by UNICLAM and administered in each country by the partners. 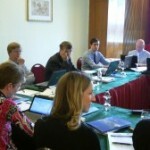 Common questionnaire translated in national language disseminated by all partners. All national partners indeed committed to provide translation of the questionnaire as well as to put in some effort to reach as many organisations as possible. 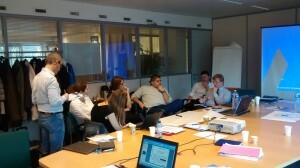 In addition EU networks committed to some specific actions to ensure a wider outreach. Finally Carole Ponchon, led a session devoted to dissemination and exploitation during which she introduced the work than has been carried so far to promote the project but also get partners views, proposals and commitment on this vital project component. The full partnership will meet again in May 2016 to proceed with further implementation of this 29 months project.